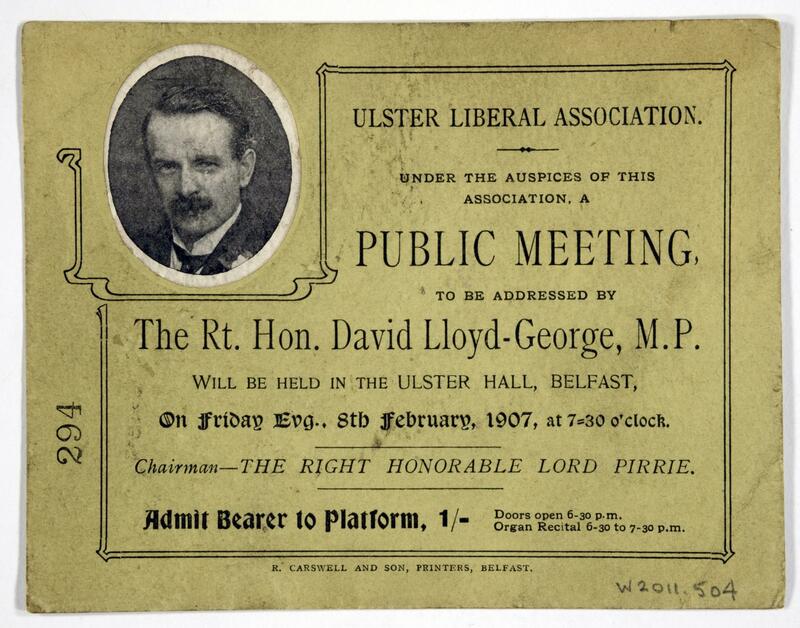 Platform ticket for a Public meeting held in the Ulster Hall Belfast on 8th February 1907 under the auspices of the Ulster Liberal Association. The meeting was to be addressed by the Rt. Hon Lloyd George under the Chairmanship of the Rt Hon. Lord Pirrie. The cost of the ticket was One Shilling, and it was numbered 294.